STIHL 4-MIX® engine - You can always rely on STIHL to keep setting new benchmarks this time with 4-stroke mixed lubrication technology. The STIHL 4-MIX® engine, which runs on a fuel-oil mix just like a 2-stroke, offers the benefits without the compromises of 4-stroke power. 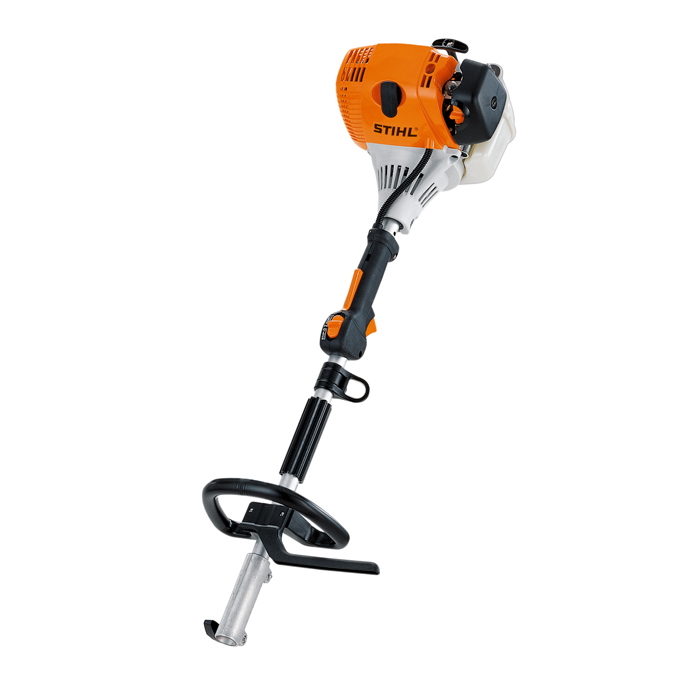 STIHL 4-MIX engine technology provides fast acceleration, more power, added torque, lower noise, reduced emissions and increased fuel efficiency to complete jobs quickly, quietly and more easily. Manual fuel pump - If your gasoline-powered engine device has a manual fuel pump, you can reduce the number of starting strokes by about 40% by repeatedly pressing the pump. By starting in this way, there is enough fuel available faster. Quick-release coupling - The quick-release coupling allows the KombiSystem to be quickly dismantled into two parts for easy transport and storage – and then re-assembled quickly without tools. Split shaft - With a split shaft and special toolless quick-release coupling, the KombiSystem is highly versatile, easily transported and easy to store. Multi-function control handle - Easy, comfortable thumb-operated control means the operator's hand never leaves the handle.